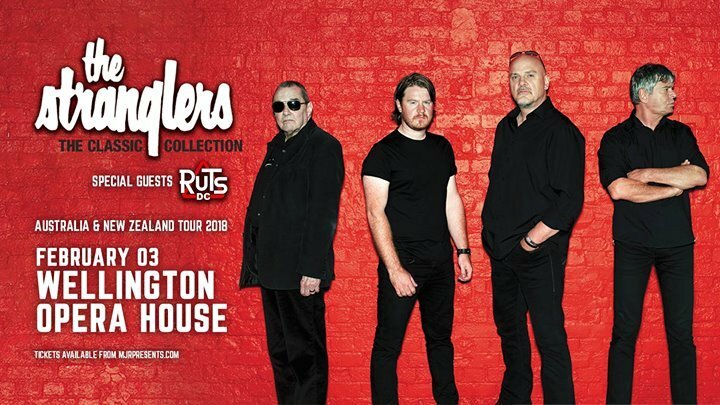 The Stranglers will be joined on their New Zealand tour next year by fellow UK punk icons Ruts DC. At the forefront of the 70s and 80s punk explosion in the UK, The Stranglers were among the best known bands of the time. This tour features 20 of their most popular tracks including Golden Brown, Always the Sun, Strange Little Girl and No More Heroes. The band will be joined by fellow punk rockers Ruts DC who brought a reggae influence to their hits including Babylon's Burning.